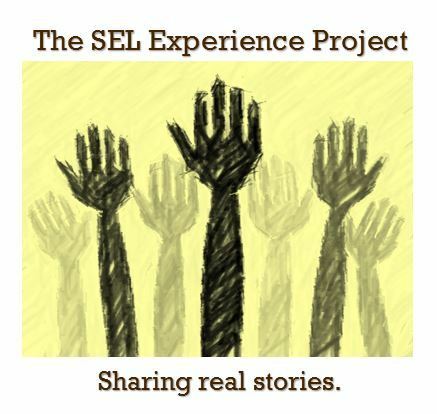 Every day, it seems, the SEL Experience Project finds out something new and amazing about SEL Schools. Yesterday the big news for us is that SEL Schools has the only K-3 STEM program in the area! Yes, that’s right, our students are the only ones locally to have amazing STEM labs and this incredible program. Did you know that? One of the most frustrating things about telling the story of our schools is that there is so much great stuff that a lot of folks just don’t know about. Even those of us who are involved miss things because there is so much happening all the time. We all need an “elevator speech” to help inform friends and family about our schools. We have a district with so many great things happening all the time. As always, we need your help! Tell us about the programs you love best in SEL Schools, what you think people don’t realize, and your advice for getting the word out. The goal of the SEL Experience Project is to tell the truth– always–even when it doesn’t make for particularly pleasant conversation. Since we started the blog last summer, we’ve had the opportunity to speak informally with parents, students, teachers, administrators, and residents. These conversations have given us a 30,000-foot view of our school district and have put us in the position of having a better understanding of multiple perspectives. That unique insight has also created frustration and concern. Someone asked us an interesting question this week: who are we trying to reach through the blog? Surely, we have one target audience. We envisioned this blog as speaking to people in the community who might not have a clear understanding of what our SEL School District offers. These could be residents with children in the District, those with children who could go to the District, but don’t, residents without children or empty-nesters who have heard negative things about the schools, or non-residents who have a desire to find out more about our schools because they are looking for housing or are selling real estate in the area and want to be better informed. That’s a pretty big audience, and a pretty big challenge. After doing this for a while, we found that we have been reaching lots of teachers and administrators as well. We realized that they needed support and encouragement to deal with the negative perception issues as just much as parents and community members. After speaking with all these folks, we know one thing for sure: everyone wants the best for our kids. We are operating from a place of common ground, and that means so much. We all want our kids to succeed and achieve their dreams. We all feel proud when we read about the great things our students and former students are doing. They’re OUR kids. That’s what’s important here. It’s been a rough year. Feelings have been hurt. People with good intentions on all sides feel misunderstood, victimized, and wounded. Because of this hurt, relationships have broken down resulting in a toxic disconnect between our teachers and our administration. We fear that this is starting to hurt OUR kids, and could undo some of the good that has been done to move the district forward. A house divided, soon falls. There is no “us” and “them”, only “we”. We need to find true common ground–a place of respect and mutual understanding. Parents and students find themselves in middle. The danger is that some of the parties involved, be they teachers, parents, or administrators, will give up and leave, making it even harder to move forward in the most positive way. We’re at a tipping point and our kids need us all to be at the top of our game. Picture a three-legged stool: the legs are made up of teachers, administrators, and parents. The students are balanced on the top and are being held up by those three legs. If one leg starts to give way, the whole thing falls apart. No one group can hold it all together. We have to work together. We have an opportunity here to show our kids how adults can solve difficult problems, hopefully by working together out of a place of mutual respect. How do we fix this together? Tell us your thoughts and ideas. Our kids are worth it. There’s a back story to this alumni profile. I admit that I have been harassing my colleague, Michael Love to complete one of our alumni profiles for quite some time. I desperately wanted him to give us an update on what he and his two siblings have been doing since graduation because I think it shows, very clearly, the kind of graduates that come out of SEL Schools. This is a profile I knew you would all want to read, and in keeping with Michael’s understated and modest style, I would say he’s holding back–just a little. Having had the privilege of working with him since 2008, I can honestly say that he is a tireless and devoted servant of our community. He has a resume that makes it obvious that he could work anywhere, yet he has committed himself to South Euclid and has purchased his own home here. As Economic Development Director, he has accomplished so much. During his tenure the city has seen over $100 million in new investment, and he was instrumental in establishing One South Euclid, the city’s community development corporation. He has been a speaker at national conferences, a committed volunteer for many South Euclid and Cleveland causes, and works tirelessly to make South Euclid and Greater Cleveland the best it can be. Michael’s brother Stephen is another Cleveland powerhouse! Formerly employed by Cleveland Neighborhood Progress, the Cuyahoga Land Bank, and now as a Program Officer for the Cleveland Foundation, Stephen is establishing a name for himself in the region as someone who is instrumental to Cleveland’s Renaissance. The creative genius behind the Euclid Beach Blast, Stephen has spent untold hours cleaning up Euclid Beach and attracting scores of others to take up the cause. In his free time, you can see him putting his Brush Band skills to good use, playing the trombone in venues all over town with Son Gitano, the uber popular Latin Jazz band. Stephen and his equally accomplished fiance, Ali Lukacsy, have purchased a home near the lake in Collinwood that they are lovingly renovating. Both are committed to the Collinwood art scene and helping to create a more vibrant NEO. Sarah Love is continuing her education by pursuing a Doctorate in Psychology, having recently been accepted into a prestigious program at Wright State. We hope that she follows in her brothers’ footsteps and returns to Greater Cleveland upon completion of her academic career. What are your names and when did you graduate from SEL Schools? We feel SEL Schools truly prepared us for future success. SEL Schools provided us with a truly well-rounded education which allowed us to be prepared for success in college and beyond. All three of us attended SEL Schools from Kindergarten through 12th grade and feel our education was unmatched. The academic programs and offerings, particularly at the high school level, put students such as ourselves on a path to success in college. Graduating from Brush, one can be confident that success in college is very likely. The opportunity to earn college credit through enrolling in a diverse range of Advancement Placement Classes is big advantage SEL Schools offer. These classes do a great job in preparing students for college and through the college credit opportunity can allow students to potentially finish college early. Coming out of Brush, all three of us felt ready for college, and had successful college careers. This translated to all three of us enrolling in graduate programs and being on track for professional success. Beyond the academic offerings at Brush, the range of extracurricular activities allowed all three of us to explore our different interests, being involved in everything from music to helping other students succeed. Of course, the diverse types and personalities of the student body in SEL Schools, truly prepares you for what you will encounter in the real world. Starting in college and throughout your professional career, you will interact with those different from you. Being educated in a diverse school district, and it is diverse in every sense of the word, allows these interactions to be enjoyable. We also feel SEL students are more likely to seek out these interactions in their post-school lives. All of us enjoyed our experiences throughout our time in SEL. One thing the three of us had in common was an appreciation for the foreign language curriculum. All three us began taking Spanish in the 7th Grade and took it throughout our high school careers. Being in the foreign language program is a great example of the practical skills an SEL education offers for students. We also very much enjoyed the opportunity to be involved in a variety of extracurricular activities. We each partook in somewhat different activities with experiences that we continue to find useful today. Whether it be the teamwork skills learned in band, the leadership skills from being part of Student Council, or the commitment to helping others gained from Key Club, all of the activities we were part of provided us with valuable life lessons. We believe our time and experiences in SEL Schools contributed greatly to the people we are today. We wish people had a better understanding of the high quality education SEL Schools offer. We truly believe it is the amazing education we received through SEL Schools that allowed us to have great college and now professional career experiences. Continuing to share success stories is one of the best ways to get the word out about our school district and the opportunities it provides. Brush is truly an ideal sized high school. It offers many opportunities that could not be found in smaller school districts, such as the diverse range of AP Classes and extracurricular activities, while still being able to offer much individualized instruction and attention to fit the needs of all students. We feel there is a deep commitment in SEL Schools to student success.